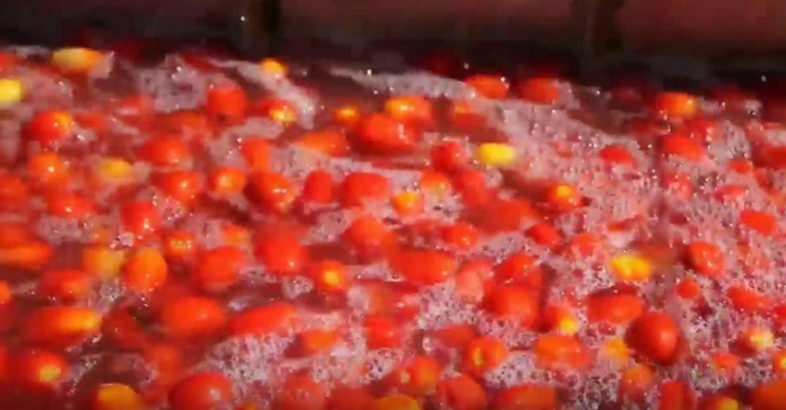 Processing fresh tomatoes into Tomato Paste and Tomato Powder by TRANSA. Vertical integration; from fields to facility. Transformaciones Agrícolas de Badajoz, S.A.- Transa is a Spanish tomato wholesale company able to deliver its production of tomato all around the world. Founded in 1965 by Mr. Rafael Carranza, it has never stopped growing and it is nowadays one of the world leaders in Spanish tomato exporting from its main facility, situated in Villanueva de la Serena, on the South West of Spain. Furthermore, Transa also manages its Portuguese branch, Tomatagro, placed in Rio Maior, in Ribatejo province. As tomato paste producer, Transa counts with one of the highest fresh tomato processing capacity in Europe, manufacturing an average of 1.250 metric tons of tomato per day. The company also became a tomato powder manufacturer in 1972 by using its own tomato paste as raw material. Its current production can reach up to 70 metric tons of tomato powder per day, constantly operating during the whole year. During all this long experience period, Transa has been hardworking 7/24 not just for the purpose of growing, but also in order to make the most of our crops, believing in sustainability, quality and technological improvement as self-values to be offered to our customers. Currently, Transa’s aims are focused on global expansion and setting new locations in Asia, South America and Africa. producing nation in the world and has comparative advantage and potential to lead Africa in tomato production and exports. If you are interested, I am a willing partner.